Well. We – the team here at WeAllSew – want to see the quilts our readers made during our sew-along, so we’re creating a gallery just for Sunrise Baby Quilts. Send a photo of your quilt to us at blog@berninausa.com and we’ll “hang” it in our gallery. And, by sending a photo you’ll also have a chance to win a little WeAllSew love in the form of a useful tote filled with goodies. We’ll randomly pick a winner from the quilts sent to us for posting (one photo per quilt, please). “But my quilt isn’t finished!” Don’t worry, you have a week to complete your quilt and send your photo; the deadline for submissions is April 2, 2012 at 11:59:59 Central Time. 1) Take a photo of your quilt. 2) Send it to WeAllSew at blog@berninausa.com with “Sunrise Baby Quilt Photo” in the subject line. 3) Watch for your entry to appear in our Sunrise Baby Quilt Gallery. 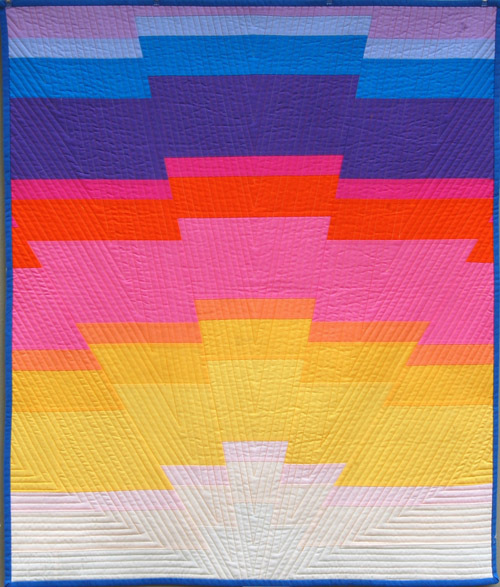 Missed our Sunrise Baby Quilt posts? If you work quickly, you can still make one before our contest deadling. Week One: Ready, Set, Go Get Your Fabric!